Sakura is in the DOA5 Honoka C23 mod. 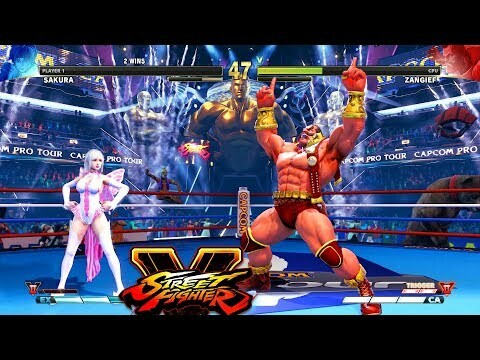 Meanwhile Zangief is in the Darun Master mod and he's from the Fighting EX Layer game. So we got a DOA vs Fighting EX Layer match up here. Remember, I do not make mods as I find them online and try to have cool battles with them. This battle took me a lot of tries to get because I'm not used to fighting against Zangief so I'm not familiar with his frame data. I picked this stage because this weekend is Capcom's first Pro Tour of the year so I hope they reveal us some big news at the event. Hope you guys enjoy and have a great day. On a side note, I am still playing DOA 6 on the side as the game is pretty cool. Unlocking the costumes is just too time consuming. Thats the problem. I will try to upload some content for that game whenever I can.